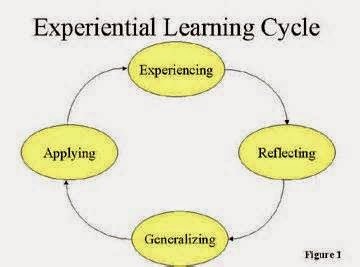 In layman’s term, experiential learning is simply learning through experience. There is more to it than its literal sense. It is a learning process wherewith the learner is directly involved and acquires knowledge through actual exposure and reflecting on ideas acquired. According to educators, it is one of the most effective methods of teaching because the teacher only serves as a facilitator during the learning process. However, there are principles in experiential learning which is not generally true. Yes it is, no one is arguing about it. However, there are just some things in life where you do not need to be exposed with in order to understand the impact of cause and effect. For example, the learner does not need to jump from the tenth floor of a building to know that you either die or get injured afterwards. Each one of us has different experiences and reflections about it. Experiences are sometimes dependent on the physical and psychological framework of the learner. A person might want to know how to make a clay pot but he is allergic to clay. Thus, experiential learning does have some limitations. Several studies have shown that traditional classroom methods do not work always; so does experiential learning. First, the ability of the teacher to facilitate experiential learning depends largely on the training that the educator receives. Thus, if the teacher only absorbs so much according to her willingness to learn, the transfer of ideas from the teacher to the students is limited. In worse situations, the teacher might use experiential learning as an alibi for ill preparedness and ineffective classroom management. If this is the case, there is no need to insist on ideas which the learner has no motivation to gain knowledge of. For example, why make him study theories of evolution when all the learner wants is to tinker automotive engines? The desire to understand and the need to teach require skills that are at odds very often. Learning is also dependent on what the individual wants to know and not on what the teacher intends for the learner to be familiar with. The truth about this learning theory is that it pretends to be a new concept in teaching; however, we are already participating in experiential learning all throughout our lives. It starts from the time we became conscious about the things around us and will continue until our mind stops working due to medical complications. 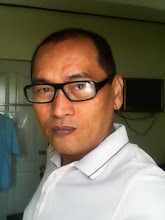 Every day, we learn new things through interaction with other people, reading, and observation. These methods are effective as well in acquiring new skills and ideas. The learning process is not an exclusive process. Thus, experiential learning is not the ultimate answer to effectively teach students. Rather, it is only effective in ways where the kind of knowledge and skills to be imparted needs experiential learning method. Can you teach quadratic equations without using the board? Do you need to stage a mock war to learn more about world wars? These are enough to prove the point.